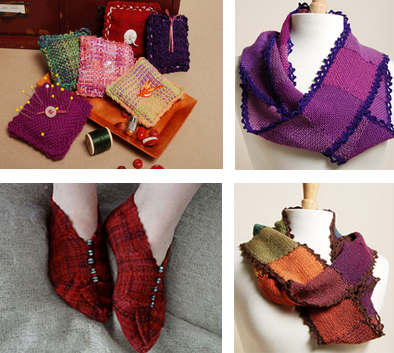 Pincushions, Infinity Scarf and Slipper patterns are all available for free on the Schacht website. 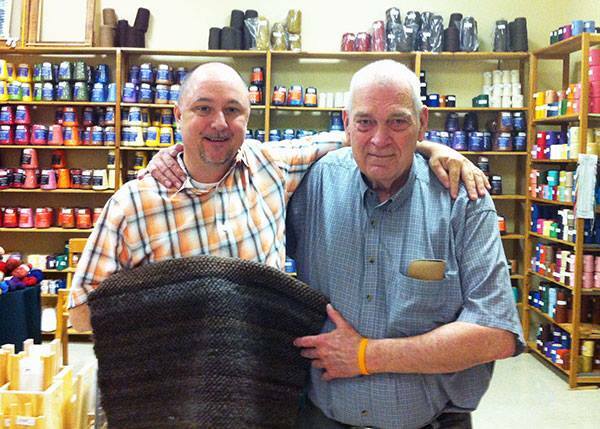 Norman Veech is a local prolific rug weaver who brought us this handwoven Alpaca rug a few months ago. We're going to frame it for the shop! Norman is a kind and compassionate man who has been coming in our shop since we moved it to Kentucky. He took up weaving about 6-7 years ago when he needed something to do while going through chemotherapy treatments. His wife taught him how to weave on a little loom purchased at a flea market, and he liked it so much that he has continued to weave ever since! Since then, he has traded up to using floor looms to create placemats, table runners and blankets in addition to his favorite project, rugs. Norman isn't focused on production weaving, but rather weaves for the enjoyment and relaxation the craft provides. Occasionally, he can be found selling his rugs at nearby flea markets and craft festivals such as the Finchville Fall Festival next month. Many thanks to Norman for allowing us to share his story with our blog readers this month!